In the past five years Cara’s career has gone from strength to strength. After signing with Storm Model Management in 2009 Miss Delevingne has strutted her stuff on the runways of every major designer, she has graced the covers of countless magazine and has been the face of Burberry longer than any other model out right now. Delevingne was born in London, the daughter of Pandora Anne Delevingne and property developer Charles Hamar Delevingne. Her godfather is Condé Nast executive Nicholas Coleridge, and her godmother is actress Joan Collins. The chick has celebrity blood running through her. The girl has been featured in advertising campaigns for brands such as H and M, Blumarine and Chanel. She has even walked on the famous Victoria Secret catwalk two years in a row. WERRRRKK!! If you’re a martian and this is your first time hearing of Cara, You’re welcome!! 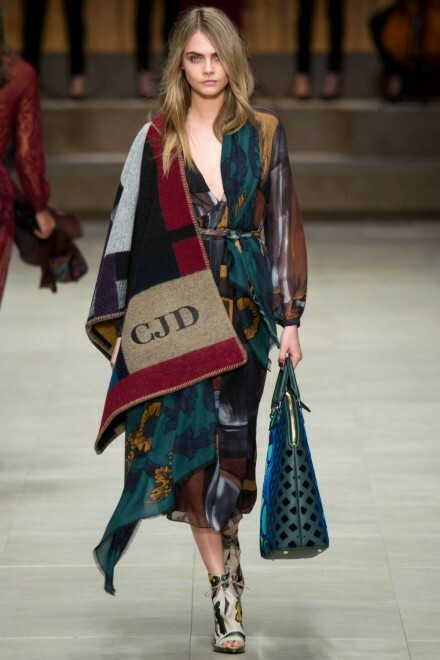 Cara we crown you queen of cool! !